Magic Carpet Cleaning is the best choice when it comes to professional carpet cleaners for residents or business owners located in Fulham SW6, in the fight for cleaner homes, offices and stores. 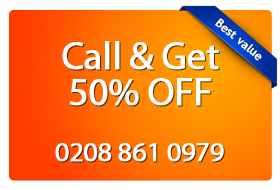 Why choose Magic Carpet Cleaning in Fulham SW6? We invest in the skills of our employees. They pass special courses and have certificates which prove their professional skills in cleansing. To meet your high expectations, we deploy the latest developments in our field and do not hesitate to apply them – so you can always get more for your money! Our skilled teams of experts handle the cleaning with a 100% guarantee even with the removal of old spots. We in the Magic Carpet Cleaning know how to keep the health of your family and loved ones, so we use only harmless chemicals that are safe for the environment. When you enter into a contract with us, we will ensure that we keep our confidence. We do not use hidden conditions and fees in the documents signed. We can give a 100% guarantee for the work, because our employees work while they cover your individual requirements. From our experience we have seen that the washing with hot water extraction approach is suitable for allergic people and families with children and pets. High efficiency is due to the destruction of microbes causing allergies. We inject washing agents in the polluted carpets under high temperature, which are then sucked. Through the use of hot water germs on the surface of the allergen materials are killed. Our employees are certified to work with the equipment and chemicals. We can clean up your business buildings using 98% biodegradable substances to protect nature. The treatment is also called Dry Powder Cleaning and is recommended for cleansing of rugs in places with high human visitation. The process is performed as the chemicals used in the form of powder are placed in a tissue, and are then sucked off with vacuum. This method does not use water, allowing your customers and visitors not to wait until the treated fabrics are dried. Furthermore, Dry Carpet treatment prevents mold and fine fabrics are preserved. We can completely remove dirt and blemishes from your houses and offices working with due attention to your property. Our purity experts are prepared to work with specialized equipment and detergents like acid, alkaloids, etc. We remove the new and old coffee stains, traces of pet urine, wine, food, chewing gum, chocolate, etc., to get the shine of your home back. We have achieved excellent results in the treatment of natural and artificial fabrics. We suggest you contact us at our number 0208 861 0979 to make sure you use our quality services. If your home, office or shop is located in Fulham SW6, give us a try and escape your problems! Get a free quote at 0208 861 0979 and let us help you! Dirt does not have a chance!